Most of the rain has stopped and the weather is starting to warm up as it is officially spring today. 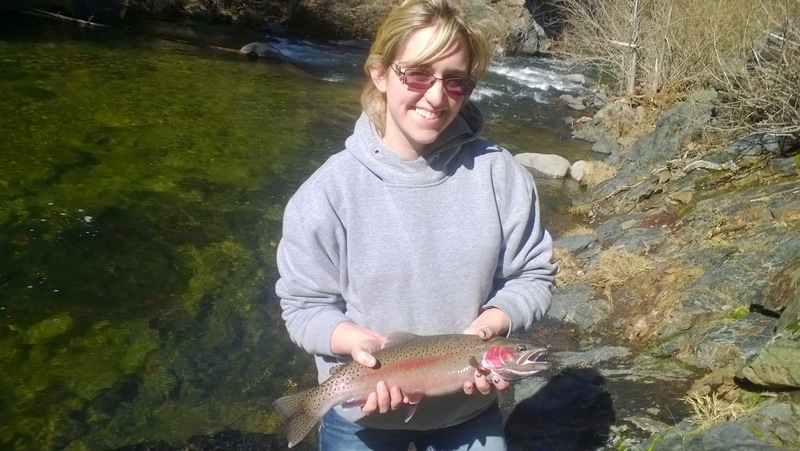 The fishing has been great on rivers and streams and the lakes and ponds are beginning to warm up a bit turning on the warm-water species. Spring is going to be a great time to get out there and catch some fish. Being on spring-break has helped me put more time getting my line wet and its been worth it. The low-flow section is the place that I've been fishing as I have heard that the high-low is too low to fish properly. At around 550 CFS I wouldn't be surprised. With a few rains here and there the water becomes dirty and the steelhead have moved into the runs taking San Juan worms, eggs, and fry patterns. Once the water starts to clear, the fishing gets a little tough as they fish move to deeper runs, pools, and riffles taking nymphs mostly. 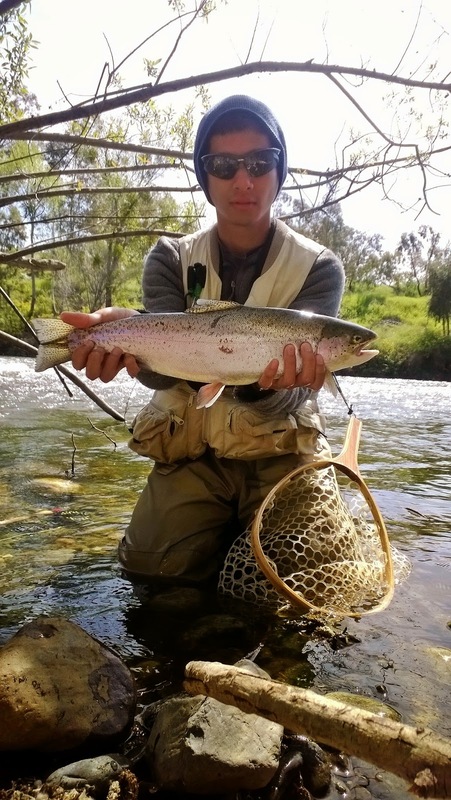 I've managed to catch one each trip so I think I'm starting to get the hang of fishing for these Feather River steelies. Most of the fall-run fish are gone and the spring-run fish have arrived. The suckers are also in the river spawning and I've managed to hook into these guys more than once, both times fooling me. The suckers put up a good fight as they get to a pretty decent size, its always fun catching something you don't plan on catching. The rains blew out the Yuba and made this river completely unfishable when Amanda and I went to visit it. Although we got some casting practice in and saw a few fish rise, we didn't catch anything nor did anyone else. I'm sure its clear now but with the river sitting at 521 CFS those wary trout will be hard to hook into. Horseshoe Lake is truly an anomaly. The water has zero clarity and holds some of the bigger warm-water fish I've caught. I've been targeting carp and although I have seen them I haven't been able to get one to take yet. Most of them are spawning so I guess I'll just have to wait it out. Hopefully I get one soon as I have been dying to fish for them this Spring. The catfish bite in late spring and early summer was awesome last year, hopefully it will be the same this year. Ellis Lake is a great fishery. I am surprised how well this lake fishes as it is one of the most odd places in Marysville. Most of the fish are near the rocky banks. 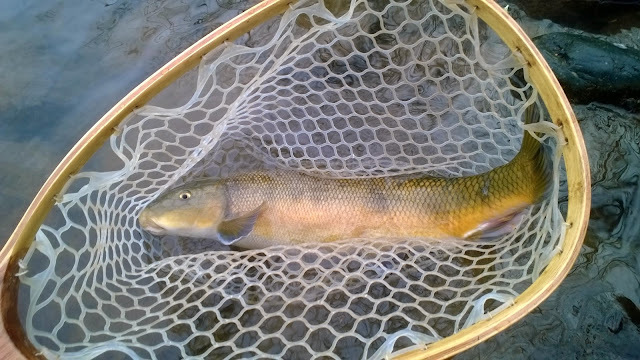 The water is still too cold for warm-water species but they have been on the bite late in the afternoon. The bass and panfish can be found sunbathing near the shore and are super spooky. I saw some bass there were at least 6-8 pound monsters. 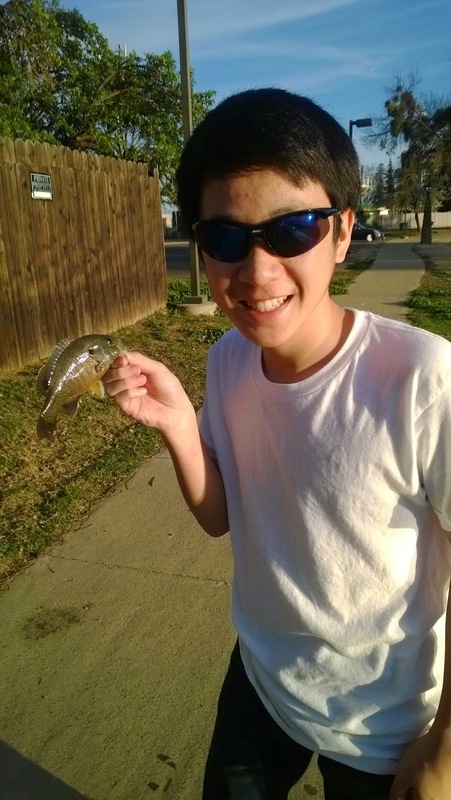 Nick and I managed to hook into a few small bluegills and bass. I caught a nice 4-5 pound catfish on a carp fly and hooked a black crappie as well. I saw a few tailing carp but they wouldn't take. It will only get better as the weather warms and I can't wait. Amanda and I hiked to one of our favorite places to go adventure and there is a stream that runs along the trail. 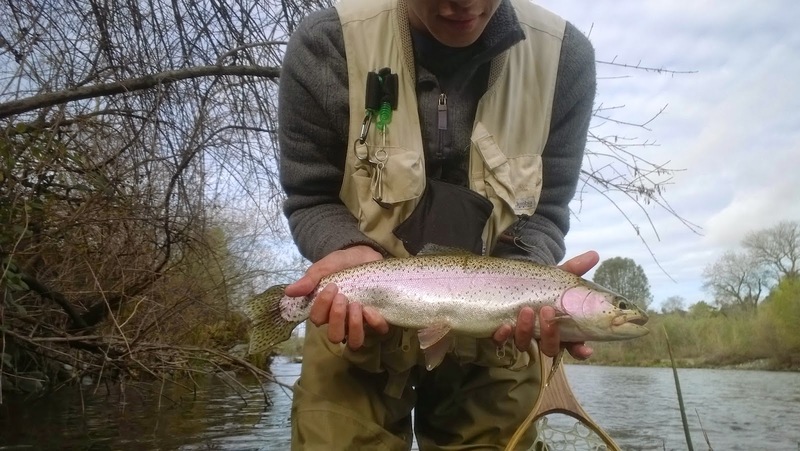 We managed to find some steelhead there and took a few photos with them. With warm temperature comes more people out. On one Wednesday I was on the Feather River low-flow section and there were a ton of people there which was odd as it was on a weekday and the water was dirty . I fished all the runs but I along with everyone else didn't get a single take and we all watched another angler hook into two fish in less than 30 minutes. I waded across and starting fishing across from him and noticed his ethnicity and unfortunately immediately knew that he was cheating. He was using live-bait, a worm and salmon eggs, and probably had on a barbed hook which are both illegal in the low-flow section above the bridge. With a bunch of anglers on the river and that, needless to say I had had enough asshatery and was done for the day. 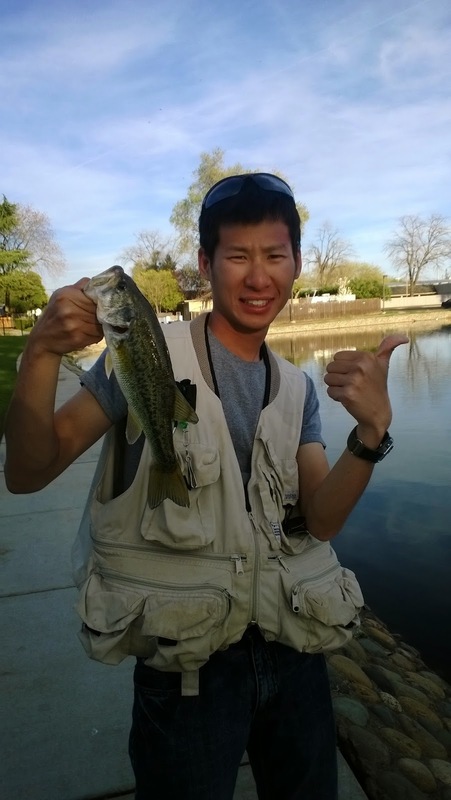 Horseshoe Lake is a prime bait-fishing pond. The water is muddy all the time so fly fishing there is a challenge. I witness a kid around 8-years old hook into something big most likely a catfish or a carp. The way it was fighting it must have been a good sized fish, especially on a spinning rod. Unfortunately he probably has never experienced hooking into something so big making him panic. He didn't let the fish make its run and kept reeling it in, once he got to a certain point he put his rod down and starting pulling the line with his hands. I wanted to yell at him to stop doing that and if I was closer I would have coached him but he was on the other side of the lake. The lined snapped which I figured was going to happen. The kid was so upset he starting throwing rocks into the lake. He took a good 10 minutes to get to his mom who was telling him that they were going home. We all learn from our mistakes and become better anglers that way. Sometimes you win sometimes the fish win.